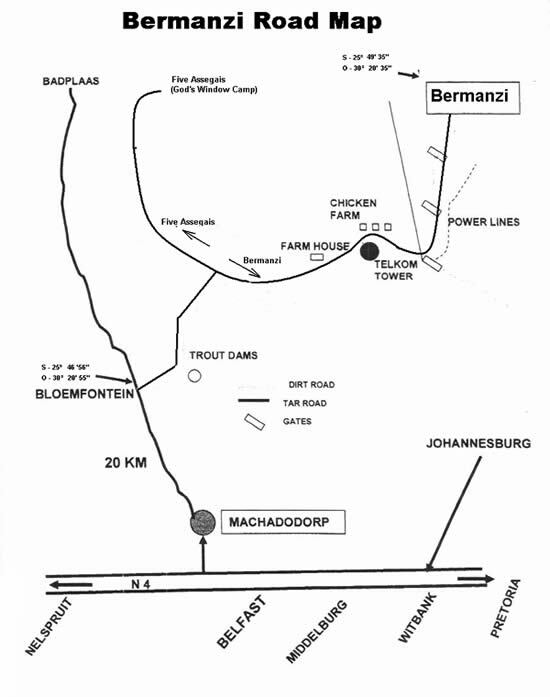 Bermanzi is situated between Machadodorp and Badplaas, in Mpumalanga, and is a two hour drive from the bustling cities of Johannesburg and Pretoria. Offering affordable accommodation in Machadodorp and with some of the best hiking trails the province of Mpumalanga has to offer, Bermanzi is the ideal place for hiking groups and holidaying families alike. Few places offering accommodation in Machadodorp, or even accommodation in Mpumalanga, have the stunning views that you will get when you are staying at Bermanzi. A lot of thought and care has gone into the development of Bermanzi. Whether you are looking for a quiet weekend away or an action packed weekend spent traversing the hiking trails and seeing the waterfalls, you will find what you are looking for at Bermanzi. Hiking trails in Mpumalanga make for the perfect outdoor hobby. Mpumalanga is a top hiking destination and at Bermazni we have 3 popular hiking trails for our guests to embark on. Please note that while we welcome day visitors wanting to hike, we only allow day guests to hike from between 8 am and 5 pm. When hiking in Mpumalanga, at Bermanzi, our trails are for all types of people. We have the easier trails for those looking for a relaxed introduction to hiking or who have children and then we have the more difficult trails for those who have a little more experience and who are in search of a challenge. Upon arrival at Bermanzi, be sure to talk to our team to find out more about our hikes. We’ll be able to point you in the right direction by suggesting the hike most appropriate for you. Experience the great outdoors by taking one of our many hiking trails. Walking through stunning indigenous forests, picturesque valleys and breathtakingly beautiful mountains, Bermanzi has a variety of trails ideal for those looking to get back in touch with nature. We offer different styles of accommodation to suit everyone’s tastes as well as budgets. From self-catering, rustic backpacker’s accommodation, to a snug, romantic nook carved out of rock and a guest house big enough for the whole family, we have something for everyone. Isn’t it time you enjoyed a real holiday? Spend a few days with us and enjoy our rustic but comfortable atmosphere and peacful hiking trails. You can contact us today to find out more about our accommodation and our activities or to book your stay with us! The Num-Num 5 Day Trail is the first of its kind in this part of the country, seeing as it is a trail that passes through private land. Bermanzi is one of 3 places that have come together in the region to create the Num-Num. Those who choose to embark on this hike will follow the gorge and navigate mountain ravines, forests and rock pools. They will have the added experience of being able to stop at the second highest waterfall in Mpumalanga; the Bankspruit Waterfall (Brides’ Leap). The Oom Paul Hiking Trail is the other hike we have available. It is a two-day hike where guests will be able to stop overnight at one of the partners of the Num-Num This hike is rather difficult and is generally for the more serious hikers. 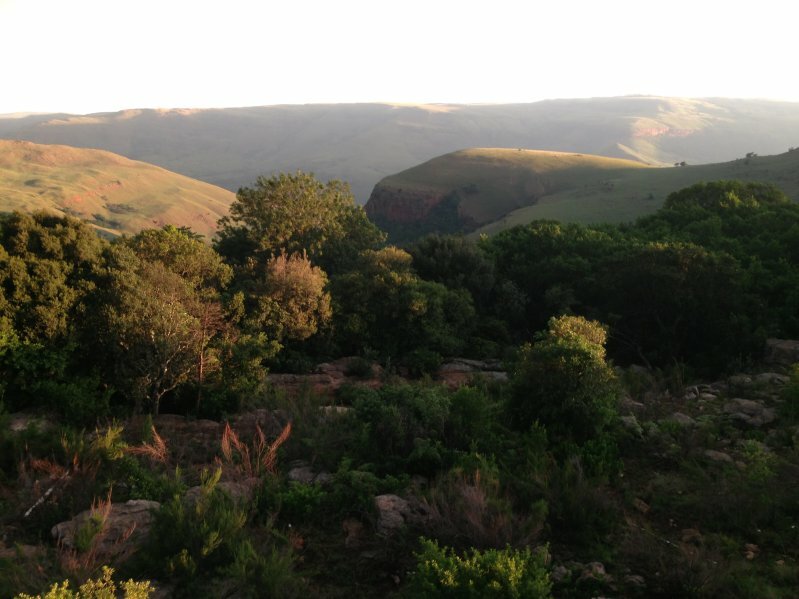 Hiking in Mpumalanga does not get more relaxed than when you go hiking in the Komati Valley at Bermanzi. Read More About Our Hiking Trails! Bermanzi is situated between the picturesque villages of Badplaas and Machdodorp, in the Mpumalanga province of South Africa. Close enough for the city slicker to escape for a nature-filled weekend and yet just far away enough to feel free of the constraints of modern day living, Bermanzi has affordable accommodation along with some of the best hiking trails in Mpumalanga. You could say that Bermanzi is a private holiday destination. Because we don’t take in plenty of guests all in one go, you are guaranteed privacy and quiet relaxation. Our accommodation is snug, rustic and incredibly comfortable, the ideal place to disconnect and shut down. While we do have the basic modern amenities for your entertainment, once you get into the sereneness that is Bermanzi, you will soon forget that such things even exist. After a weekend with us, your troubles will seem smaller, your head clearer and your batteries completely recharged. You will be ready to take on the busy world again, with renewed energy and vigour. Mpumalanga has so much more than exciting hiking trails to offer. From the Highlands Meander to the Panorama Route and beyond, there is so much to see and do in a province that has an exceptionally diverse geographical landscape. When touring the province you can go from exploring caves to hiking through forests and experiencing a wildlife safari, all in the space of one day. Every year, the beauty of the province draws more and more guests. It is the ultimate destination for those looking to get away from the city, while it has enough action to keep people entertained. There is also a lot of history to be found here. Historical towns founded during the gold rush era of the 1870s still stand to this day. And in between these towns lies valleys, gorges, mountains and rivers. The scenery you will find in Mpumalanga is unlike anything else in South Africa. Mpumalanga was formerly known as the Transvaal. After the fall of the Apartheid regime, the province underwent an image makeover and was rechristened as Mpumalanga. A more fitting name could not be found. The name means “the province of the rising sun”, and anyone who has seen an early morning sunrise in this region, out in the midst of nature, can attest that there are fewer stunning sights to be seen. As the easternmost province of the country, Mpumalanga borders on Swaziland and Mozambique, both of which offer interesting places to visit. While this is a wild province, the capital city Nelspruit (Mbombela) is a business hub of note. Due to the location of the city, a lot of business from Mozambique helps to keep the city flourishing. You will find all of the modern days convinces when staying in Nelspruit. Urban jungle landscapes quickly give way to farmland and then untouched nature, just a few kilometres drive from the city. It is not the city that brings guests from all over. It is the landscapes and small towns within the province that have guests enthralled. Depending on where you are in the province, you can easily catch sight of South Africa’s famous mountain range, the Drakensberg. This range and its escarpment divide Mpumalanga into two sections, both of which have very different geographical features as well as different climates. Above the escarpment, in the Highveld, the air is drier and there is more grassland than anything else. Below the escarpment lies the Lowveld. The Lowveld has a reputation for being the wilder part of the province as a lot of game reserves as well as the world-famous Kruger National Park lies in this part of the province. Certain areas of the province are also considered to be geological wonders, with some of the world’s oldest rocks being found within the Barberton area. Some of the oldest granite formations can be seen here. And many hiking trails in Mpumalanga pass through this part of the province. The climate also helps to make Mpumalanga a great tourist destination. The escarpment divide has an effect on the climate, with the higher ground obviously having the cooler temperatures and a drier heat. The closer you get to the Lowveld, not only does it get hotter but it also gets more humid. Choosing when to do outdoor activities depends a lot on the weather. Summers can be a killer when outdoors and depending on where you are in the province, the winters can get very cold. The Lowveld receives warm air off of the Indian Ocean. This also makes the Lowveld a sub-tropical region, unlike other areas within the province. Mpumalanga is a hive of activity, but with all that open land, it can sometimes feel as though you are adventuring alone. Some of the things to do in Mpumalanga include a visit to the Blyde River Canyon and the Sudwala Caves, while activities range from white water rafting to, of course,hiking in Mpumalanga. Our biggest attraction has to be our hiking trails. We have three trails; some are very easy and some require a little more effort. But each provides a fantastic way to see all of the surrounding natural beauty that this part of the province is so well known for. Each of our 3 trails is linked. These hiking paths consist of a 4 km hike, a 6 km hike, and a 12 km hike. 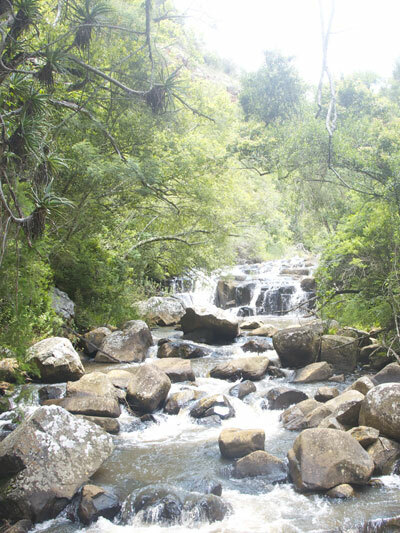 The trails take hikers down into the gorge and lead them to the stunning Uitkoms waterfall. This is the second highest waterfall in Mpumalanga. There are few better ways to see the gorgeous landscapes than by getting outdoors and onto these hiking trails in Mpumalanga. The trails will take you to places that only those hiking get to see. The main trail takes you through indigenous forests and along rugged mountains, before plunging over a river. During the summer months, when the heat is intense, you can always take a break next to the river and cool off. These hiking trails in Mpumalanga also offer a great photographic opportunity, should you be a keen photographer. 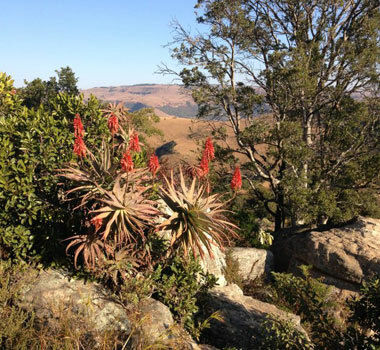 Hiking in Mpumalanga is one of the more popular pastimes among visitors to the province. And as Mpumalanga is a top hiking destination, we ensure that our trails are always available. We also offer guidance to those who are unsure about which trail will be best for them or who are new to the hobby. Some of our hiking trails are best done over the course of two days, but we do accommodate those visiting for just the day. The Bermanzi Two-Day Hiking Experience is certainly the most popular one at Bermanzi. It easily accommodates all kinds of hikers, from the amateur to the well-experienced professionals. This hiking trail is also a great option for those who are hiking in a big group, such as a church or school group. To accommodate the bigger groups, we even have a place designed to provide the right kind of accommodation, known as The Stables. 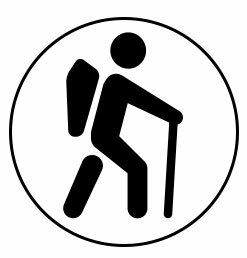 Next on our list of hiking trails is the Oom Paul Hiking Trail. This is also our second most popular hiking trail in Mpumalanga. Taking 2 days to properly complete, it is the ideal way to spend a weekend in this part of the world. Hikers spend the night comfortably in one of the Num-Num trail stopovers. Perfect for couples and families, this scenic trail will take you down into the gorge where you will walk among rock pools before walking through the surrounding forests. The Num-Num hiking trail is one that has gained fame throughout the country. Our Num-Num trail is a section of the greater Mpumalanga Num-Num trail. Bermanzi, along with 2 other nearby locations, makes up the Mpumalanga Num-Num trail and while experiencing this 5-day outdoor adventure, you will be in for a treat in terms of the things to see. Wildlife, interesting birds, exquisite natural rock formations and landscapes dot the hiking trail. But it is the Bankspruit Falls (otherwise known as the Brides Leap Falls) that is the real highlight of this hiking trail. There are few activities more relaxing, and few that will have such a low-impact workout, than hiking. Hiking in Mpumalanga is the ultimate way to completely break away from the mental rut that is often associated with modern living. Out in the fresh air, with nothing to worry about aside from getting to the next part of your hike, hiking in Mpumalanga has many benefits. Uplifting moods, stopping anxiety and even helping to prevent osteoporosis, hiking is something everyone can and should enjoy. Hiking is delightfully unpredictable, and you never really know what you might come across when going around the next corner. While this might be a part of the fun, there are some things that you can do to prepare yourself for a hike. This is important. Not everyone can, or should, attempt to hike a 42 km mountain trail as their first hike. When you are just starting out, choose an easier trail and remember that you can take it slowly. A hike is not a race, and there are no medals waiting at the end. Once you are used to hiking a certain number of kilometres, then choose your trail. Depending on the time of year you will be visiting, your clothing needs might be different. But it is also important to make sure that you check what the weather will be like when you plan on hiking. If the forecast is not favourable, then you can easily plan another day to go on your hike, or maybe not walk so far. The socks that you choose are just as important as your shoes. When either your shoes or your socks are uncomfortable, your whole hike can be unpleasant. During your planning, make sure that you have packed the right socks and that the shoes you are planning on taking are comfortable. This also means that you need to pack shoes that you have preferably taken long walks in before. You can only imagine how difficult and tiresome it would be to carry around an over-packed backpack. When you are packing for your hiking trip, pack the essentials and leave everything else back at your accommodation. Packing the travel sized essentials, such as small sunscreen, will ensure that you have what you need without having to struggle with a heavy bag. Like we said before, there is no race here. A great way to make sure that you easily complete the hiking trail is by taking your time and pacing yourself. Don’t jog or run, and if you get tired, know that you can sit down for a bit. If you rush through the trail, you will miss all of the stunning sights! Most of the hiking trails in Mpumalanga either have self-catering accommodation on site or nearby, depending on where you will be hiking. Self-catering accommodation is what you can expect when hiking at Bermanzi. For many people, it is the perfect type of accommodation, simply because it gives you more privacy and time to do what you really want to do. 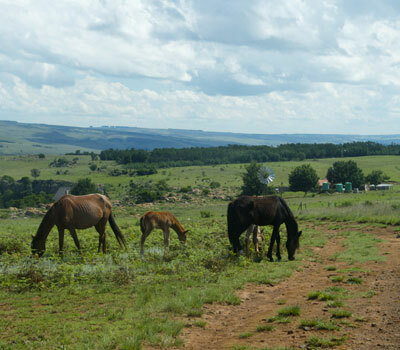 Our self-catering accommodation in Mpumalanga consists of The Stables, In the Rocks for 2 and the Vakashani Guest House. The Stables is ideal for big groups of people, and the Vakashani Guest House is a great option for families. In the Rocks for 2 is the best self-catering accommodation in Mpumalanga for couples. Self-catering accommodation in Mpumalanga is generally more affordable while it is just as comfortable as most other styles of accommodation. You can experience the best of both worlds when you choose Bermanzi as your hiking destination. Along with our self-catering accommodation, you will have everything you need in order to enjoy a real break, even if it’s just for the weekend. Book your weekend away today! We encourage hikers to book an overnight stay at Bermanzi so that they can take their time on the trails without having to worry about rushing away before nightfall. For your comfort and convenience, we have created a series of accommodation options to suit the needs of our guests. For groups coming to visit, we have The Stables. Here groups can stick together, enjoying each other’s company, socialising and braaing before turning in for the night in their rustic yet comfortable self-accommodation facilities. The Stables are offer affordable accommodation in Machadodorp (Mpumalanga). Looking for the ideal romantic getaway? In The Rocks for 2, our accommodation cut into the stones beneath our guest house is the perfect romantic hideaway! This accommodation is a little more luxurious than The Stables. Finally, for those smaller groups looking for a holiday home to share for a weekend, we have the Vakashani self-catering lodge. The views from this lodge are unbelievable, and with accommodation for up to 10 people, you have all the space you need to unwind! Book your accommodation at Bermanzi in Machadodorp and set off on one of our 3 hiking trails in Mpumalanga.